Hillsdale College | Kingwood TEA Party, Inc. I haven’t seen these yet, but Hillsdale is usually synonymous with quality. A free registration is needed, but once registered you have access to the videos and handouts. 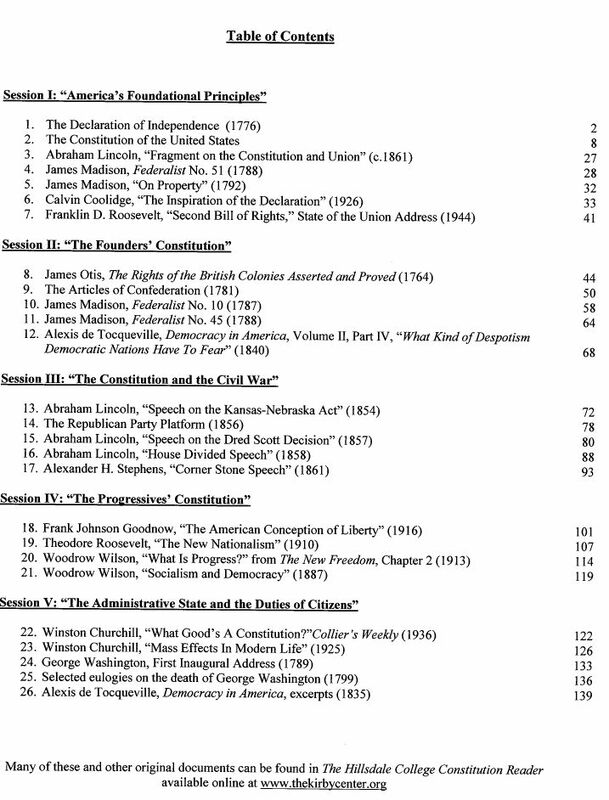 Reviving the Constitution Link to Hillsdale Website to register. 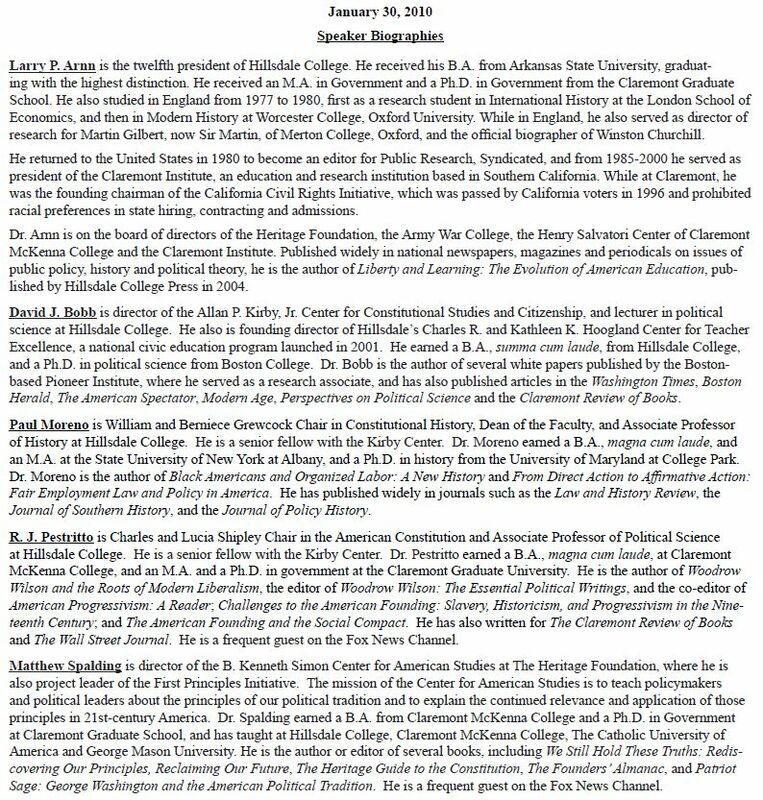 Town Hall Reader Table of Contents – click on graphic to enlarge.